The big question for anyone who invests a lot of money and resources into buying, placing, and cleaning a rug, particularly a fine Oriental rug, is whether they can prevent moth damage. The first thing most people think of when they hear about moths is of moth balls and grandma’s house. The idea of moth balls is repulsive to most people. In particular, no one wants to mix the beautiful craftsmanship of a fine Oriental rug weave and pattern with an ugly scent like moth balls. The other question most people ask is if there is a way to prevent moths from eating away at their rugs. No, moth balls are not the only way to repel moths. And, yes, moths still present a clear and present danger to homeowners. 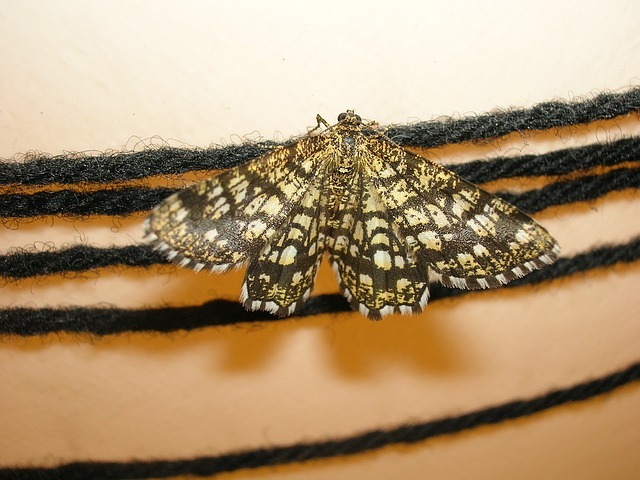 Many people assumed that the use of any moth repellent on rugs was made a thing of the past. The main reason for drawing this conclusion was that most rugs are fabricated from synthetic fibers. Yet, the truth is that moths will snack on synthetic fibers just as well. The main idea is that moths feast on the protein that makes their way into a fabric, whether it is natural or synthetic in nature. The protein can embed itself into the fabric from any variety of ways. Though, the main two ways are from food particles that may lodge themselves into a rug or from insects that crawl into the fibers and die. It’s not a pretty idea, but there are ways to use moth repellent on rugs that work. Weekly vacuuming does wonders for pulling out the offending materials. In addition, be sure to lift and clean under furniture that sits atop a rug. That is the main way to keep moths at bay. If you will be swapping out a rug for another, before sending it into storage, have it cleaned. Brushing off the fibers will also work, but be sure it does not harm the carpeting. This will ensure that the eggs of the insects are cleaned out, which removes the opportunity for moths to eat your carpet fibers. When storing a rug, be sure to secure it in a thick plastic that is inaccessible from bug eggs. When storing it is a good idea to have a professional exterminator come in to ensure there is an effective removal of insect eggs. Lavender satchels are one of the better options for keeping moths at bay. They have the added advantage of being non-toxic, whereas moth balls are toxic to unborn babies and pets even. There are benefits to knowing the drill where rugs are concerned. It is important that a rug is taken care of properly to avoid any damage from insects, particularly moths. They have a voracious appetite for protein found in fibers of fabrics. Vacuuming regularly is the best way to prevent moths. Vigorous brushing is advised but only outdoors and on fabrics that are not too delicate. Lavender satchels are great for keep moths away naturally while storing textiles. 1 response to Can Moth Repellent On Rugs Work?